Have you ever wondered how your church can make a lasting impact for the Kingdom of God? There are a number of ways to get your church involved with the mission to be the hands and feet of Jesus to a thirsty world. 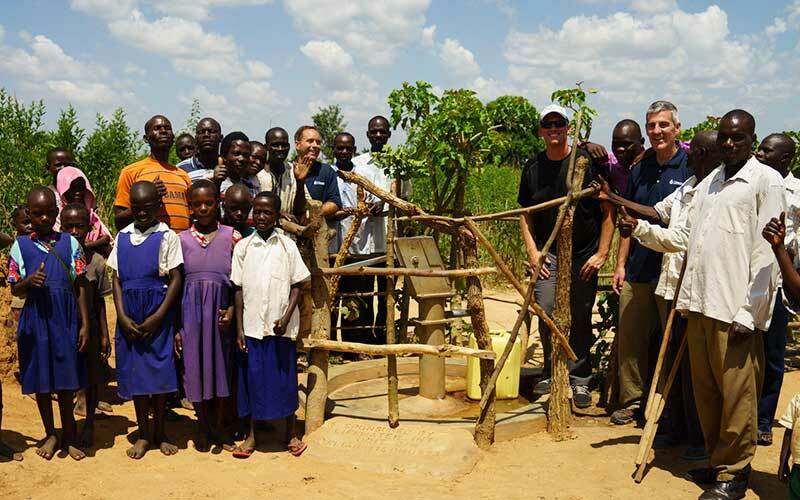 Our friends and partners at Chapelstreet Church in Geneva, Illinois have found great ways to bring water, health, and hope to vulnerable people in Africa. More than 200 people gave using the Chapelstreet Church app at Water Sunday. 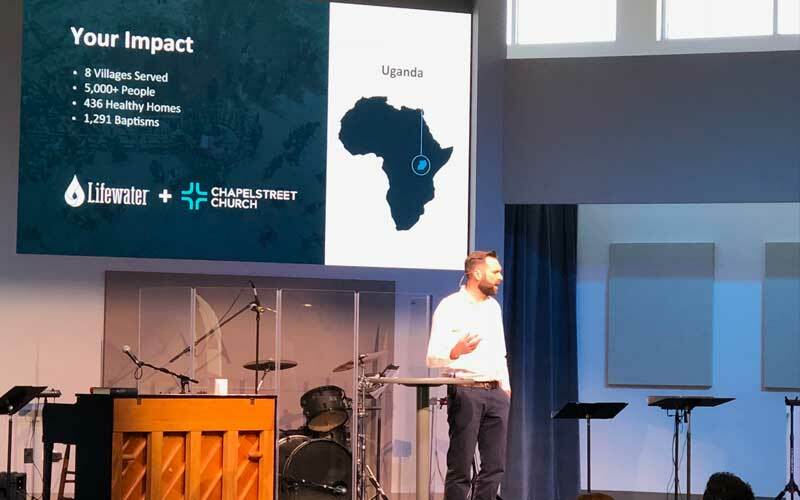 This past spring, Chapelstreet Church hosted a “Water Sunday.” In seven minutes, they presented the water crisis and talked about what Lifewater is together with church partners to end it. Then they presented their congregation with a simple way to join the mission through a giving app. Through their efforts, 1,000 people downloaded the app, and more than 200 people donated and made a real, lasting impact. As a church, Chapelstreet Church cares about loving its neighbors well. They want people to know and experience the transforming love and grace of Christ. Over the years, the church has been compelled to go deeper with Lifewater. People from the church have visited villages in Uganda to visit and learn from real people on the ground. Some church members have been part of training teams, and some have worked to bring more awareness to the issues, through fundraisers such as Wheels for Water. And they are making an incredible impact. The church’s generosity is bringing clean water, health, and the hope of the gospel to four villages in rural Uganda. Since 2015, Chapelstreet Church has brought clean water and gospel hope to over 5,000 vulnerable children and families in Uganda. Are you ready to partner with us in ending the global water crisis? Get your church involved today to get connected with a village in Africa or Asia. You can bring clean water, improved health, and the love of Christ to vulnerable people in need. In doing so, you can make a real impact.